Situated between Mount Vernon, Ohio and Fredericktown, Ohio rests a beautiful 2 bedroom country home for sale with 1.24 acres of land. Simplify your life and entertain guests with a spacious living room, adjoining formal dining room, and gorgeous cabinet filled kitchen with an eating area. This home features many updates throughout the property and includes a convenient main level laundry/mud room combination as well as a relaxing sun porch, propane forced air heat, an outdoor wood furnace, central air conditioning, and a whole house generator. Walk outside to the fantastic back yard and find an entertaining sized rear deck, calm flowing creek, utility building, and a 32 x 24 detached garage. This home is in the Fredericktown School District and is about a 10 minute drive to either Mount Vernon or Fredericktown. Located on Green Valley Road, this home has nearby access to State Route 13 and State Route 229. This location is convenient for commuters who drive to Columbus, Ohio and those who want a country lifestyle without being too distant from town or grocery and medical needs. If you're curious about what the setting of the property is like, make sure you watch our custom drone footage below that showcases the fantastic acreage and adorable home. Click here for more information on this 9177 Green Valley Road home for sale in Mount Vernon, Ohio 43050. Located on Allen Road in Mount Vernon Ohio, 45.330 gorgeous country acres are for sale. This Monroe Township land has approximately 13 wooded acres, easy accesss to State Route 3/Wooster Road, and is located within the Mount Vernon City School District (Pleasant Street Elementary). 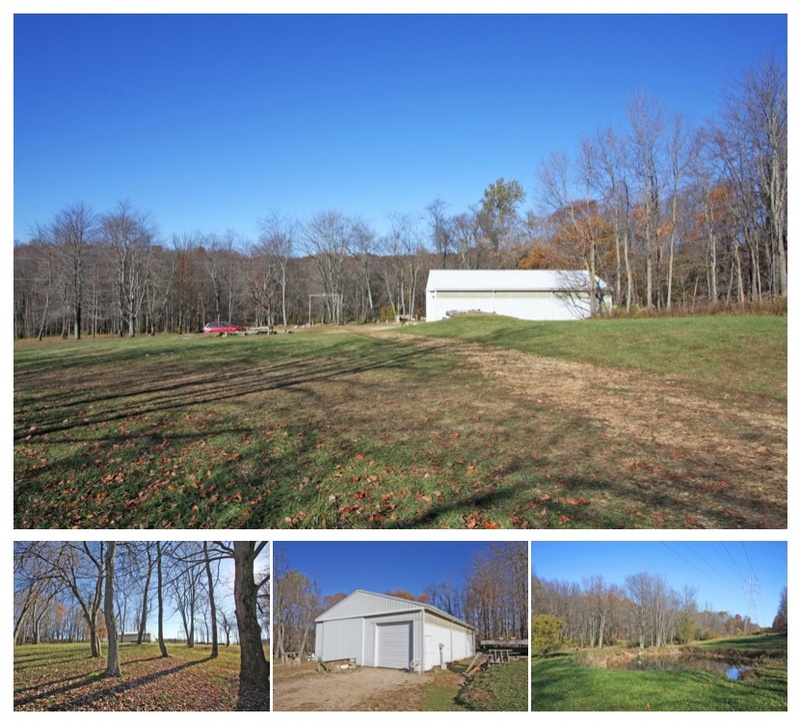 This property features a small pond as well as a 58 x 37 pole barn. Priced to sell at $235,000. 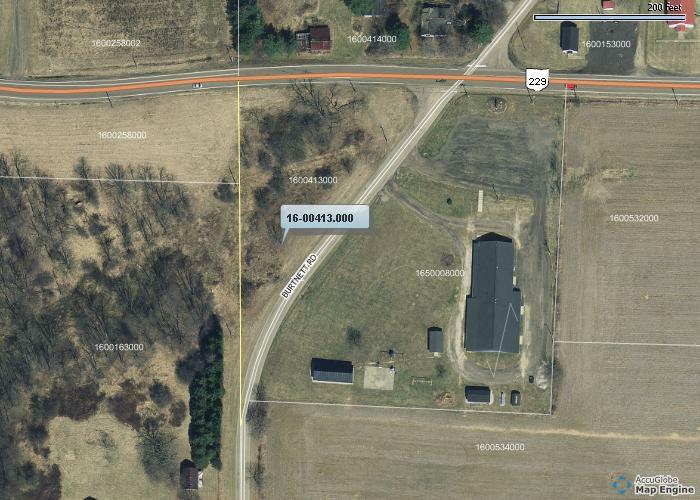 Click here for more information on this 17265 Allen Road land for sale in Mount Vernon Ohio. Beautiful 1.3 acres of land on the corner of Newcastle Road and Burtnett Road. This property is in Harrison Township, with a Gambier mailing address, in Mount Vernon City School District (Wiggin Street Elementary) and is zoned AG. Fantastic piece of property listed at $14,600. Click here for more information on this 1.3 Gambier Ohio acres for sale. 1.249 acres for sale located on Vernonview Drive in Mount Vernon, Ohio. 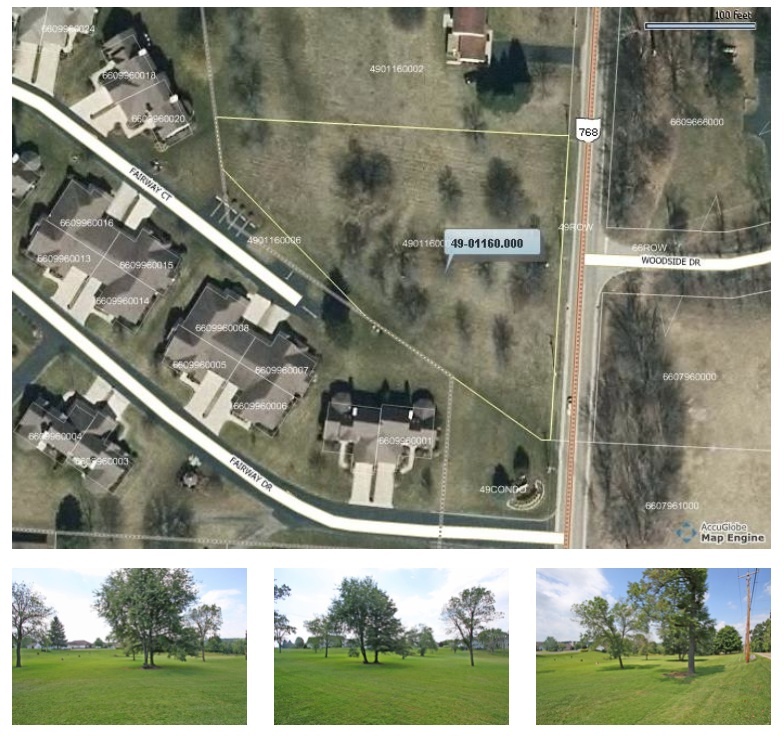 This beautiful lot sits next to The Fairway Condominiums near the Hiawatha Golf Course conveniently close to nearby shopping, restaurants, and other amenities. This land is available for city water hook up and is the perfect building site for your future home! Priced to sell at $30,000. 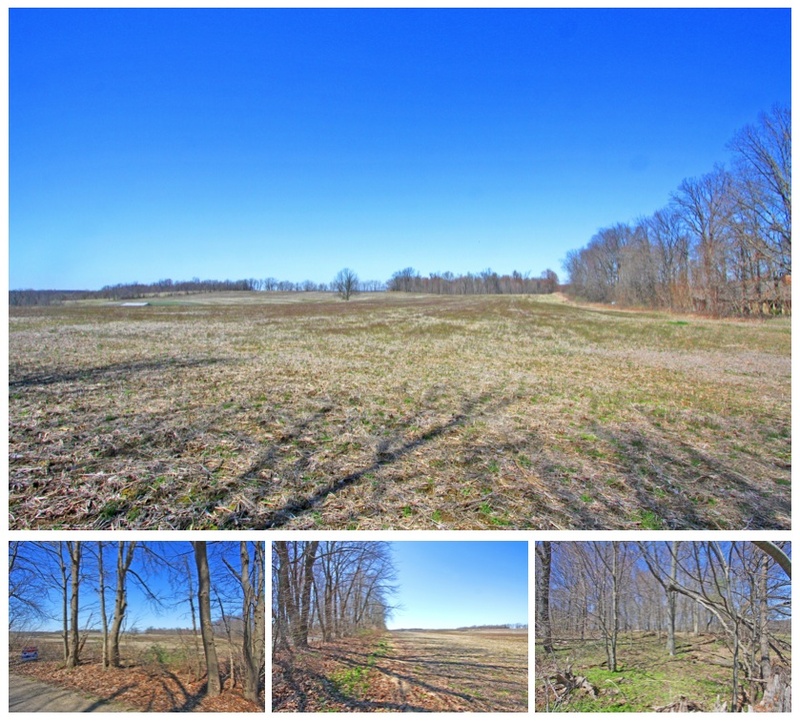 Click here for more information on this Knox County Ohio 1.249 acres for sale. Picturesque 5.5 acres of land on the Southside of Mount Vernon making it ideal for a Columbus commuter, located in the Twin Oak Elementary School and Mount Vernon School District, this property features a nice 2+ acre wooded area that creates a natural layer of privacy, this is a really nice building site. $43,900. Click here for more information on this Mount Vernon Ohio 5.509 acres for sale. 2 country acres for sale in the Centerburg School District. This property includes 193.98' feet of road frontage, a meadow, and the Knox County Health Department has approved for building site. 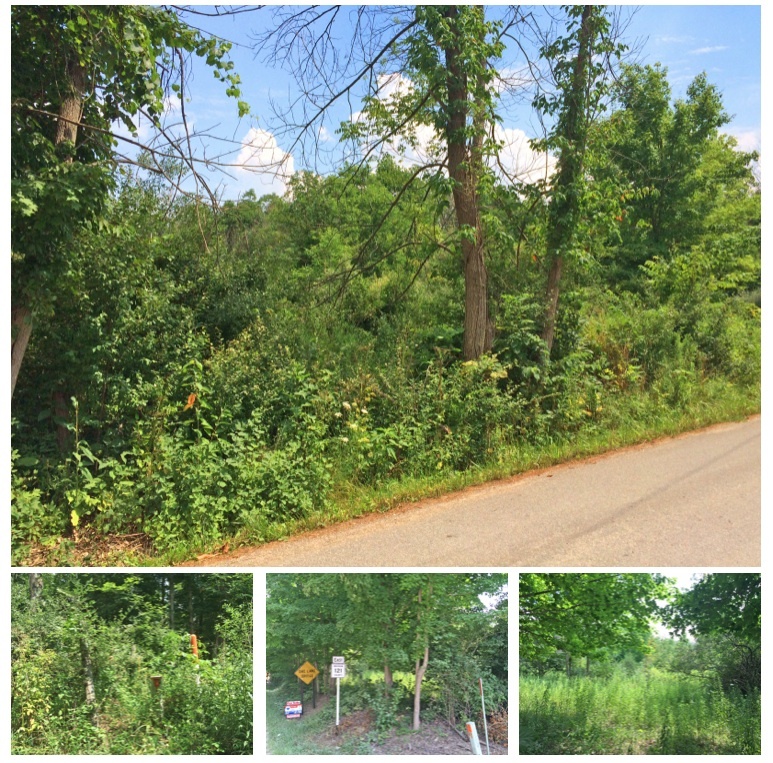 Located in Hilliar Township, this Croton Road land is a fantastic location and is priced to sell at $39,000. 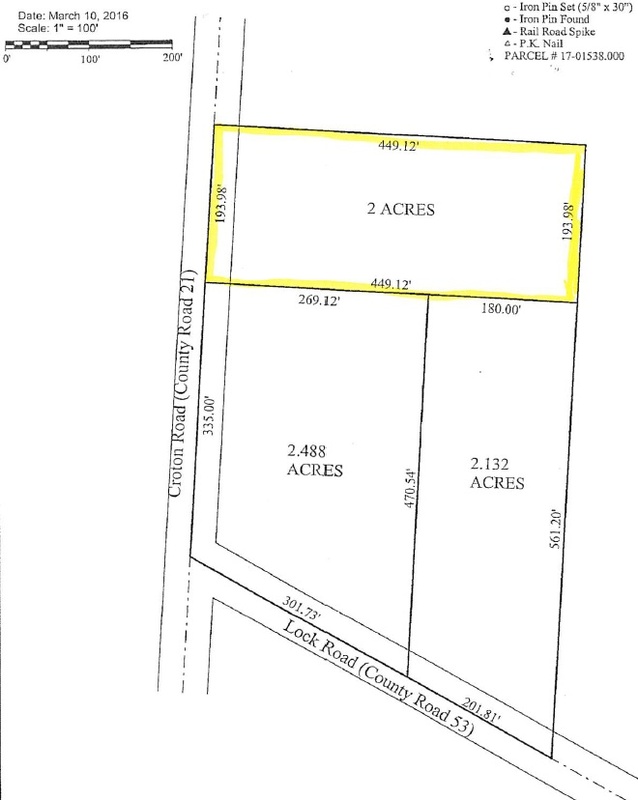 Click here for more information on this 2 acres of land for sale on Croton Road in Centerburg Ohio. Located in Utica, an impressive 29.151 acres of beautiful land are for sale. This property features 5 wooded acres with the rest being open field. Currently CAUV enrolled, this Divan Road land has level ground as well as a meadow. Resting within the North Fork School District in Clay Township, for $172,000, it is priced just right. Click here for more information on this 29 acres for sale in Knox County Ohio. On the corner of County Road 121 and Township Road 178, find 10 acres of gorgeous land for sale. 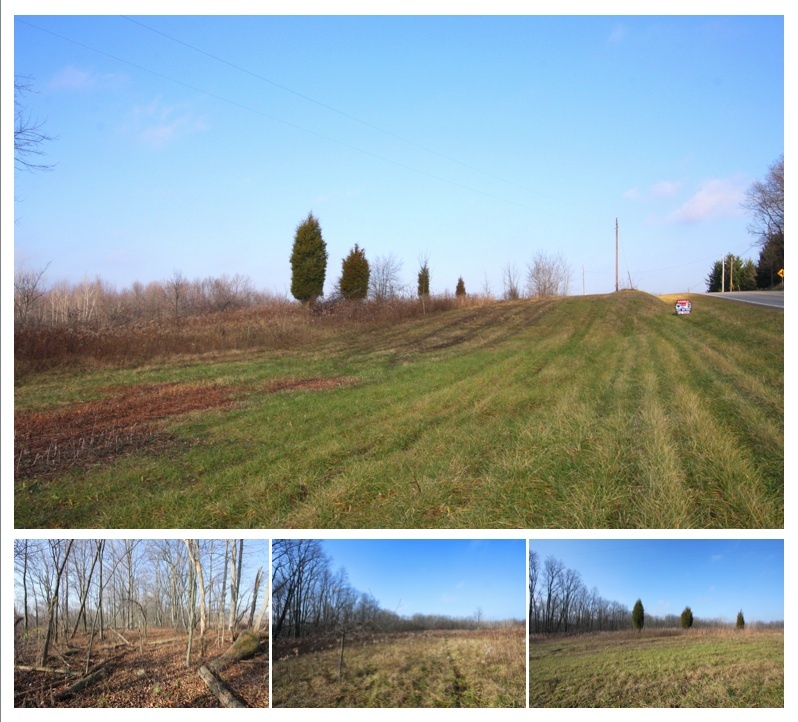 Located in Fredericktown, Ohio, this piece of land features 709.09' of road frontage on County Road 121 and 614.63' of road frontage on Township Road 178. This property also features wooded area as well as a meadow. Found in Morrow County, within the Highland School District this land is priced to sell at $75,000. Click here for more information on this Morrow County Ohio 10 acres for sale.